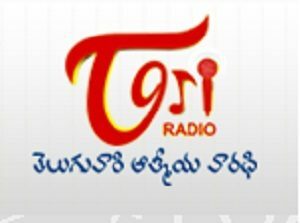 Tori Radio Telugu Live Online . Listen over 25 Telugu FM Radio Stations Online . Tori is Texas, U.S. based Telugu language & entertainment portal with a plethora of features like News, Movies, Celeb photos, Videos, Full length movies, Web Radio, Kids Zone, e-Library, Devotional,Comedy, Romance, Shopping, NRI Corner, Charity, started in the year 2000. It has gained immense popularity and patronage of people in India as well as abroad . It has a reach to over 172 countries across the globe and been adjudged as the largest Telugu language portal in the world. Address : 8-3-988/34/7/2/1&2, Kamalapuri Colony, Srinagar Colony main Road, Hyderabad – 500073, Andhra Pradesh, India. 8900 EASTLOCH DRIVE, SUITE 210 , SPRING, TEXAS 77379, USA .